Being the third-largest deployed renewable technology globally (after small hydro and wind), the world passed the 100 GW mark in cumulative installed photovoltaic capacity in 2012. By 2020, cumulative installation is predicted to more than quadruple at 438 GW worldwide. Pretty remarkable, eh? 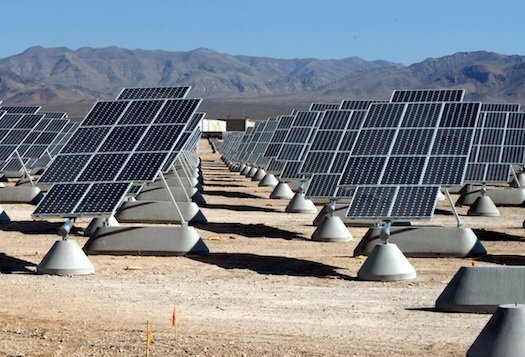 Market analyst Navigant Research has predicted annual revenues from PV installations worldwide will top US$134 billion by 2020. The company's report predicts most government renewable energy installation targets will be met in coming years resulting in 438 GW of cumulative installations worldwide over the next seven years. Navigant Research predicts solar will be able to stand as a viable competitor to conventional electricity independent of incentives in 2017, a year after the tax credit for solar investment in the U.S. falls to 10%. The release predicts solar will be cost competitive with electricity without subsidies across 'most of the world' by 2020. Navigant's Dexter Gauntlett says financial incentives, government renewables targets and technology cost reductions remain the three forces driving the adoption of solar.